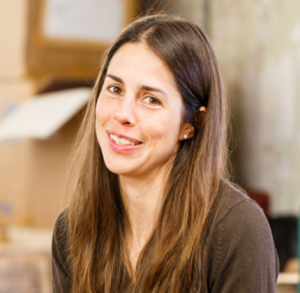 After first meeting with the London Fire Brigade in 2005, Kresse launched Elvis & Kresse, which turns industrial waste into innovative lifestyle products and returns 50% of profits to charities related to the waste. Elvis & Kresse’s first line is made from decommissioned fire hose, 50% of the profits from this line are donated to the Fire Fighters Charity. The company now collects 12 different waste streams, has several charitable partnerships and is involved with collaborations across industries, from fashion houses to FTSE 100 companies etc. I love that every day we are solving a problem. We literally measure our success in kilos, and even on a bad day we are rescuing materials that would otherwise languish in landfill. This would be a long list… my Grandmother was and remains a constant inspiration, Elvis is incredible too and there are scores of environmental achievers or social entrepreneurs that I read, What would be your 3 top tips to someone or follow. What would be your 3 top tips to someone looking to do what you do? 1) Really understand your skills and interests, and find a challenge that will make the most of what you have to offer. This is the best way to have impact. 2) Let go of some of your fears. 3) Don’t be a part of the problem, don’t be exploitative of people or nature or work for a company that is… we don’t have time for that. In 2005 we set up Elvis & Kresse to rescue London’s decommissioned fire hoses. By 2010 we were big enough to be solving the whole problem. It was an audacious goal at the time but you should see how insane my goals are now!